In a video that has gone viral, Toya Graham is seen slapping her 16-year-old son for participating in Monday’s riots in Baltimore. 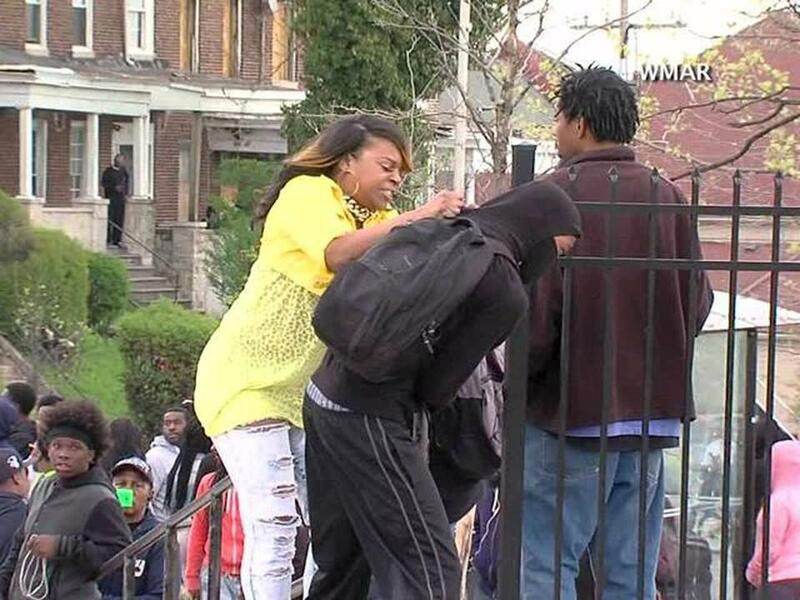 BY NOW you’ve probably heard of Toya Graham, the single mom in Baltimore who was filmed punching and slapping her 16-year-old son in the head to prevent him from joining a riot. The money for such equipment could be used instead fixing the underlying problems that foment outrage in places like Ferguson and Baltimore. This is not, for me, an esoteric debate. I have two daughters. Like any parent I’ve lost my patience with them. But having been on the other side, cowering in fear as a child at the person whose sole job was to protect me, I find the idea of raising my hand to them unimaginable. My experience is hardly unusual in a country where nine out of 10 adults report being spanked as a child and two-thirds spank their kids today. It also doesn’t work. You don’t have to believe me — believe Toya Graham. She admitted that this is not the first time she’s hit her son. Considering that he was preparing to join a riot, where’s the evidence that her past actions had a positive impact? Nonetheless, the response to Graham’s actions has been universal praise. As is always the case when these incidents occur people will say that their parents hit them and they turned out fine. It’s a bit like saying that because not every soldier suffers from PTSD the impact of being in combat is somehow benign. Others argue there’s nothing wrong with a little discipline, in moderation. But once you’ve crossed this boundary of using violence, it’s awfully hard to dial it back, especially when a child’s behavior doesn’t change. Still, in what other realm of human interaction would we have debates about appropriate levels of physical violence? Light spousal abuse, light assault, and light torture are wrong. Why is light violence against helpless children OK? As a society we’ve largely moved away from the infliction of pain as punishment. If a police officer punched Toya Graham’s son we’d be outraged (and for good reason). Why then do we condone the infliction of pain on a child by their parent? I don’t doubt that Graham loves her son and she was trying to protect him. That’s true of most parents who strike their kids. But fear isn’t love; physical pain isn’t appropriate as punishment or protection, and hitting a 16-year-old in the head is not something to be celebrated. One can and must have compassion for parents placed under extraordinary stress; or those who were hit as kids and know no other way. 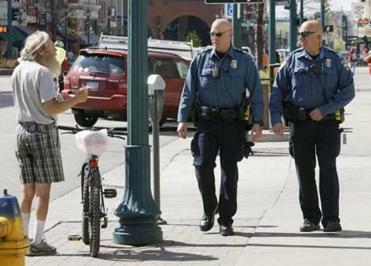 We should be focused on helping parents devise nonviolent approaches to discipline. But understanding is not the same as excusing. We should recognize and say loudly that when a parent hits a child — no matter what reason — it’s ineffective, it damages children, and it’s unacceptable. Michael A. Cohen is a fellow at the Century Foundation. Follow him on Twitter @speechboy71. Concern for her son’s safety doesn’t make her actions right, and it doesn’t excuse those who are bizarrely holding her up as a parenting model. • What’s happening in Baltimore?